Pinterest Group Boards - are they inflating your page views on Pinterest? Pinterest Group Boards – are they inflating your page views on Pinterest? 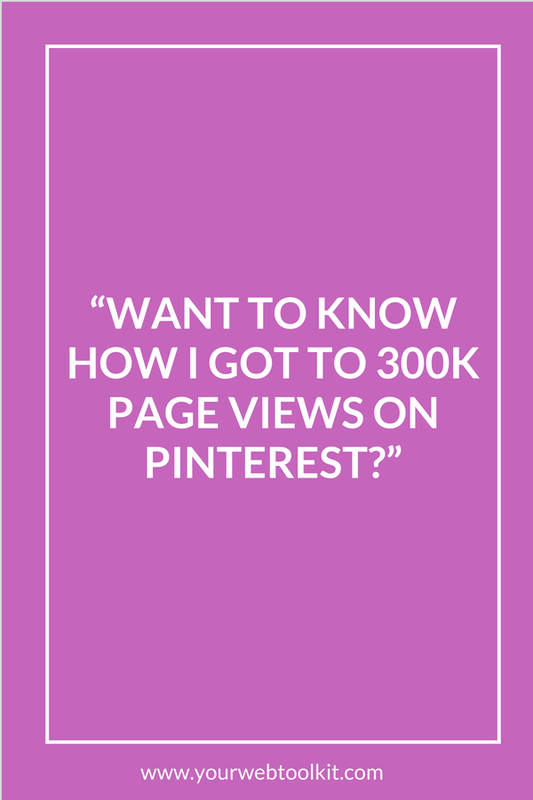 If you’ve ever googled the subject of Pinterest (or searched on Pinterest around the topic) – you’ll see a HEAP of posts about how people grew their Pinterest views to dizzying heights. And while these numbers are seductive, the problem is that page views on Pinterest don’t really tell you very much. All that number really means is that your pins have been SHOWN that many times on the platform. And let’s break that down. A common strategy is to join a gazillion group boards. And to then pin and repin your content across all those group boards, multiple times a day. Let’s say you’re on a bunch of boards that have hundreds of fellow pinners. Multiply the number of people on the boards by the number of boards you’re on. Then multiply THAT by the number of times you’re pinning to those boards. Add in the fact that lots of group boards require you to pin out when you pin in – and if everyone is sticking to the rules – then your pins are going to be seeing a lot of action on Pinterest. In terms of being seen on the platform. What these numbers don’t tell you, is how much engagement your pins are getting. And beyond THAT, those numbers don’t say a thing about how much website traffic is being generated. I’m not saying Pinterest page views are meaningless – there’s definitely some correlation between page views and traffic. But you need to be sure that your content is aligned with the group boards you’re part of. And pinning and repinning the same content over and over isn’t necessarily going to bring more traffic (even if it brings more page views on Pinterest). Want to learn how to do set up your Pinterest strategy the right way? 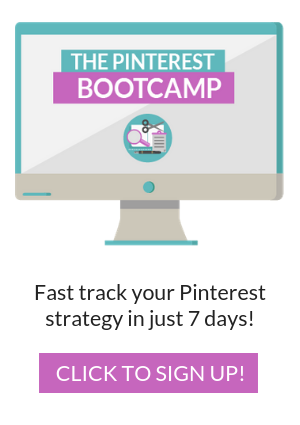 In 7 days, I’ll show you how to create a Pinterest strategy that grows your audience. It’ll be short, sharp and actionable. And I’ll prod you to keep you accountable. It will run from October 1-7, and we’ll do it from inside an exclusive Facebook group. I’ll show you how to use Pinterest to start attracting more of your ideal clients. …all without needing to spend hours learning and then implementing a new strategy…then this bootcamp is for you! Each day for 7 days, there will be a short training posted in our private community, where you will discover EXACTLY how set up your Pinterest strategy from scratch. Day 4: Headline hacks – how to create pins that beg to be clicked on! Day 7: Let’s put it all on autopilot! BONUS: I know that pin creation can be the roadblock for many people, so I’ll include a copy of my Pinterest Template bundle for everyone who joins The Pinterest Bootcamp. These are 20 professionally design pin templates that you can ‘plug’n’play’ for your own brand! In addition to a daily training that is guaranteed to get you moving with your Pinterest strategy, you’ll also receive checklists and assignments to ensure that each day, you’re making progress toward your goals. You’ll also have 7 days of access to the private community AFTER the bootcamp, for additional support and feedback. Get in now, before it all goes away! And did I mention it’s only $47 for ALL OF THIS? Yep! !